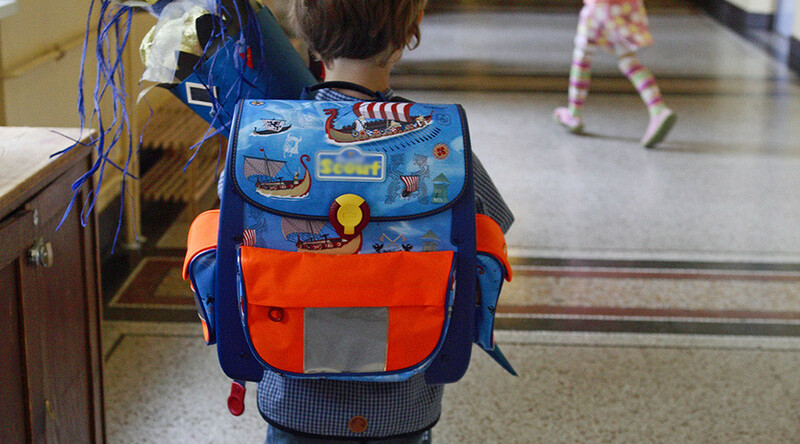 A five-year-old kindergarten student was allegedly suspended from school for telling a teacher he had a bomb in his backpack. ‘Terrorist’ Jackson Riley was sent home from Great Valley Charter School in Modesto, California on August 31, having told a teacher that if he removed his backpack it would explode. Riley's parents told local media station KTXL that they initially received a letter saying their son was suspended for his intent to “threaten, intimidate or harass others.” However, the letter stated that the boy had violated a school code that only applies to students in grades four through 12. “He said he couldn’t take his backpack off because it would explode, meaning he doesn’t want anybody to get hurt, so I mean, granted, it’s all in the world of pretend-play, and we’re talking about an imaginary bomb. But where was the threat? We still haven’t really received a clear answer to that,” his mother Michelle added. Jackson’s parents say they want to put the incident behind them and don’t want it to scar their boy’s permanent record. “He’s five. He has an imagination. We just want what’s right is right, and what’s right in this instance is for our child to not have a permanent mark on his record because of this,” his father said.